• Figures discusses the work of major psychoanalytic theorists who have influenced considerably the development of psychoanalytic political theory. • Traditions genealogically recounts and critically reassesses the many attempts throughout the 20th century of experimenting with the articulation between psychoanalysis and political theory in a consistent way. • Concepts asks what are the concepts that psychoanalysis offers for appropriation by political theory. • Themes presents concrete examples of the ways in which psychoanalytic political theory can be productively applied in the analysis of racism, gender, nationalism, consumerism, etc. • Challenges/Controversies captures the ways in which psychoanalytic political theory can lead the way towards theoretical and analytical innovation in many disciplinary fields dealing with cutting-edge issues. 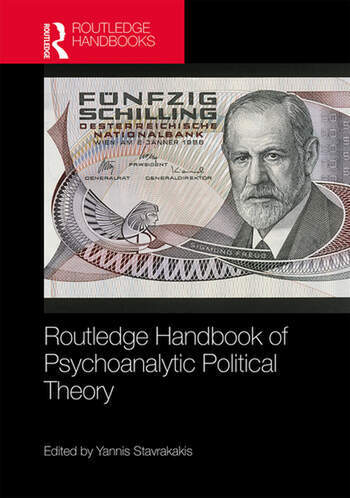 The Routledge Handbook of Psychoanalytic Political Theory will serve as scholarly reference volume for all students and researchers studying political theory, psychoanalysis, and the history of ideas. Yannis Stavrakakis studied political science in Athens and Essex. He has worked at the Universities of Essex and Nottingham before taking up a position at the Aristotle University of Thessaloniki in 2006. His research primarily focuses on contemporary political theory (with emphasis on psychoanalytic and poststructuralist approaches) and on the analysis of ideology and discourse in late modern societies (with emphasis on populism, environmentalism, post-democracy and the role of artistic practices).